The Young Company was established in 2009 and has grown to become an award winning and nationally recognized professional youth theatre company that awakens children and young people’s imaginations; inspiring a culture of true creativity. Our vision at The Young Company is to provide a positive platform for creative curiosity so that innovative thought is nurtured in our forever changing world around us (through engaging as either audience members or young artists). We create exceptional theatre experiences that educate, engage, challenge and inspire children, young people and their communities. We inspire generations to explore the wonder of their world and transform the way children and young people engage in and experience live theatre. The Young Company is a not-for-profit organisation and a regional beacon of professional quality theatre for, with and by children and young people. We engage our community and regional Queensland in the power of theatre to enrich and transform the lives of children and young people. 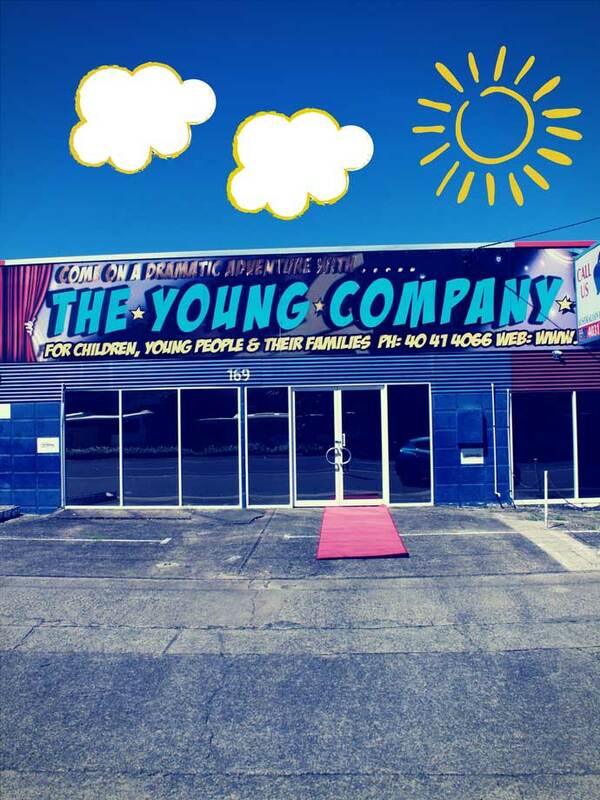 So come along and escape the ordinary, as adventure awaits at The Young Company! Parking - There is plenty of free street parking available on Lumley Street, Bunda Street and Scott Street. Box Office Ticketlink, or at the Theatre from 30 minutes prior to performance time.